Yup, I did it. I hashtagged the title to my post. Hey, in a world where social media drives everything, I thought I’d give it a shot. I know what you’re thinking. How can INFINIDAT be faster than all-flash arrays and easier on the IT budget? 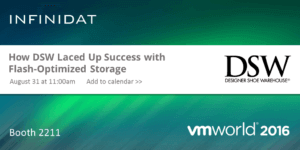 The INFINIDAT team will show you how at VMworld 2016 with a little help from some of our best advocates — our customers, partners and technical experts. DSW, Inc. (Designer Shoe Warehouse), the branded footwear and accessories retailer, will be speaking on Wednesday, August 31, at 11:00am in @MandalayBay room South Pacific J where their Infrastructure Architect, Matt Rademacher, will explain how they “Laced Up Success with Flash-optimized Storage from INFINIDAT.” You can register for this session online now. We also encourage you to come meet Ken Newell, Storage Engineer, from Bluelock, a Disaster Recovery-as-a-Service provider for complex environments and sensitive data, who will be presenting at our booth each day, as will DSW and a large insurance company (you’ll have to come see who). These customers will present their experiences with the #InfiniBox and how it has helped them turbocharge their @VMware environments and become more competitive companies. 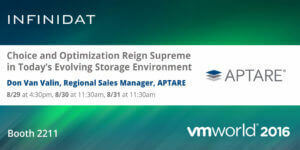 They’ll talk about how they have been able to reshape their businesses without having to worry about their #storage. These presentations will be repeated each day (Monday, Tuesday, Wednesday), so if you miss one on one day, you can catch it the next. Check out the schedule here. Partnerships and integration into the ecosystem are an important part of being able to provide value to customers. As a result, we also invite you to learn how high-definition, heterogeneous IT analytics can give you the control you need over your IT infrastructure from our partner, APTARE who will also present in our booth each day. Our booth theater will also play host to INFINIDAT technical experts like Sr. Director of Technical Sales, Aviad Offer, who will talk about how the InfiniBox is faster than flash from a design perspective. He will complement his presentation with real-world customer examples. In addition, for the second year in a row, INFINIDAT will be on The CUBE hosted by @Wikibon and @SilconANGLE. This year @Stu and @dfloyer, along with others, will host our CMO, @dorkninja, and me, @skenniston, for a business update at 1:30pm PST on Wednesday, August 31. Following that up at 2:00pm PST, our CTO, @initzero, and Matt from DSW will highlight the technology and rationale behind choosing the InfiniBox. Check out a preview below of what we will be talking about at the show. Thanks @dvellante for a great Cube Conversation. 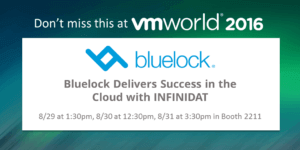 We are very excited to be back at VMworld 2016 this year and are looking forward to meeting you and helping you understand why INFINIDAT, along with its tight integration with VMware, is a great choice for your environment. 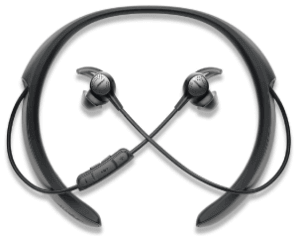 Also know that if you stop by our booth and see a demo, you will get a chance to win the new Bose® Quiet Control Wireless Noise Canceling headphones. Lastly we want to highlight our social media promotion. It’s real simple, when you come by the booth, take a selfie with our InfiniBox (and it has to be a real selfie, it can’t be a picture that someone took of you with the InfiniBox). Post it to Twitter using the hashtags #InfiniBox and #VMworld and be eligible to win one of five, $25.00 DSW gift cards, we will raffle off each day. So be creative and have some fun. Looking forward to seeing you in Vegas!!! !